We have had friends like this, and the old ones were kind of more fun. Uh oh! The live action Disney remakes have finally went too far. I say ‘finally’, as if a CGI Seth Rogen voiced Pumbaa wasn’t too far, but at least was part of a cast people could get excited about. This on the other hand… this looks like a community theater play, right? Replacing the Robin Williams Genie seems absolutely impossible. Robin Williams was a comedian with a nigh infinite energy and inventiveness, and in Aladdin he was playing a creature who is the id of comedy personified. He was always going to be irreplaceable. 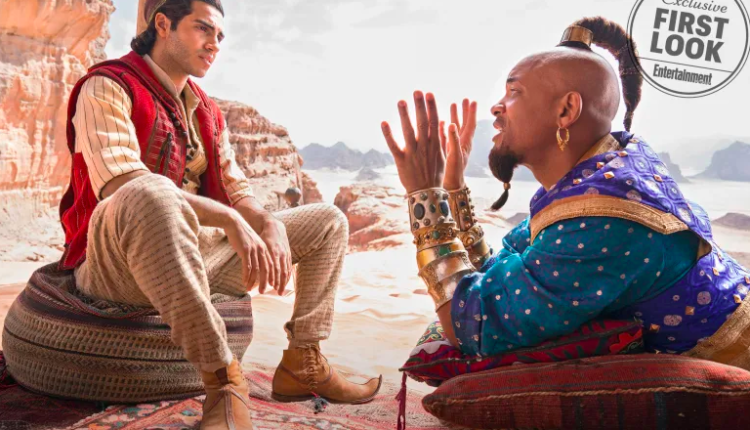 But the first photo of Will Smith as the genie shows that Guy Ritchie is barely trying. Or his heart is in the wrong place. Or whatever. The entire thing looks shoddy and cheap and bad. Check out the photos, as released by Entertainment Weekly, below. So, why keep making these live action adaptations instead of investing that money in original ideas? Do kids want to see a worse version of an already perfect movie that badly? Gravity Falls has been one of Disney’s biggest splashes, and that idea, an animated series from Alex Hirsch, is completely original. I’m sure Disney will end up doing a hard to watch adaptation of it in due time that replaces Grunkle Stan with Liev Schreiber or what have you. Still, if Disney’s current slate is all old characters, they’re planning their own obscolence. You can only redip into that well once. They should just rerelease the movies in theaters again if they want to keep the IP alive. No one wants to see a real life Aladdin that bad. Also, check out Abu. What is this uncanny valley stuff? You guys couldn’t just get a monkey? And Will Smith promises the Genie will eventually be blue. So. Get ready to see a blue man, I guess. 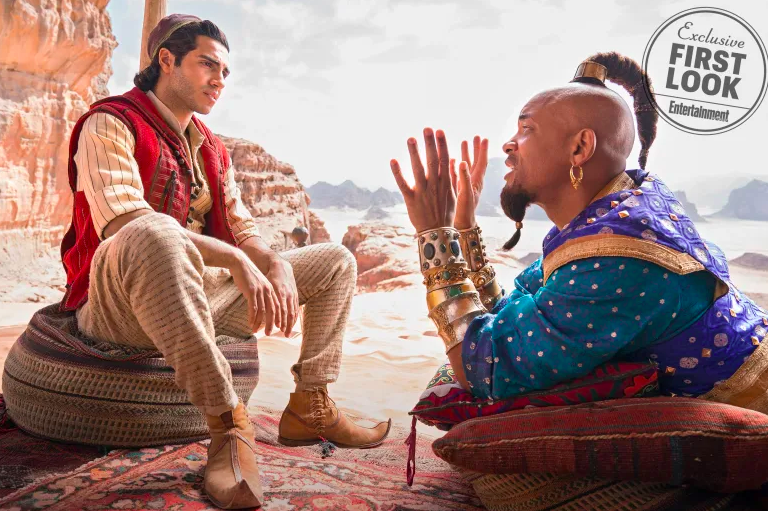 An Aladdin remake without Robin Williams really begs the question of what the hell is the point. Will Smith is a fantastic actor, but filling in for a legendary role is weird. He might as well play Don Corleone or something — we all agree the perfect version of the role has been done! Have we learned nothing from Gus Van Sant’s “Psycho”? Ah well. What do you think of the first photos? Let us know in the comments or on Twitter at @WhatsTrending.